A properly brewed cup of coffee is 98.75 percent water and only 1.25 percent flavors and oils. You see, the most vital ingredient in a high-quality cup of coffee and often the most overlooked ingredient is water. The ideal water temperature for brewing coffee is 198 to 202 degrees Fahrenheit, according to the Specialty Coffee Association of America. A great tasting cup of coffee is a product of the right water temperature, the proper brewing time, and the perfect weight for the grounded beans. It’s easy to get these variables right with manual brewing. Seeing that I’m a new coffee enthusiast, I’m aware that brewing is an art which takes the time to master. I know I won’t become an expert overnight. However, with time, my brewing skills will become sharper. I’ll be investing in a pour-over setup, which I’ve heard to be one of the best techniques to brew coffee. I’ve read it is one of the more usual recommended brewing methods for a new enthusiast like myself. Another one is Aeropress, which we’ll talk about at a later date. A pour over setup will unlock the real flavor of your coffee beans. This setup has a dripper (made of ceramic, glass or stainless steel) and a filter. I can find a starter dripper and filter at a reasonable price. With pour over coffee brewing, I would only need a pour over dripper and paper or metal filters, to make a good cup of coffee or at lease have the opportunity to make one from the comfort of my home. Yes! That sounds appealing. Alternatively, I could have bought an automatic brewing system like Keurig K-Cup. This type of machine costs much more and doesn’t guarantee high-quality coffee, but it is very convenient to use. Instead of a paper filter, I settled on a metal filter, because it can further enhance the quality of my coffee. I could have selected a hybrid brewer for pour over that has a unique stopper and release mechanism but decided against it. 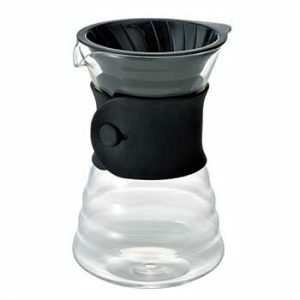 In the end, I decided on a Hario V60 Drip Decanter Pour Over Coffee Maker. With me being new at all this, I wanted to get a good grinder. I’ve read a grinder is the most important tool for brewing kickass coffee. Even with the most expensive coffee maker, if I don’t have a good grinder, I won’t be able to make a good cup of coffee. A friend told me the biggest investment I should make seeing that I’m interested in home brewing coffee and upping my skills is to buy an electric Burr coffee grinder. This grinder is better than a blade grinder because of its consistency and adjustability. It can easily adjust from very fine to very coarse. 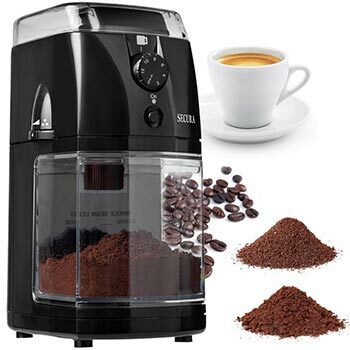 Trusting my friend’s judgment, I will be purchasing the Secura SCG-903B Burr Coffee Grinder. To take my home coffee experience to an entirely new level, I need to find the right, fresh beans. I feel if I start with fresh coffee beans and my brewing will be a success. I’ve been buying whole beans instead of pre-ground beans for the past few years and will never go back. Whole beans have all the essential oils and natural flavors locked in. These evaporate with grounding. Buy freshly roasted beans. They don’t improve with age, as is the case with wine. It reacts to aging like food but aging does not make it go bad, but it destroys its flavor profile. My plan is only to buy coffee that has a “roasted on” date this way I know how long it has been on the shelf. I will make sure that the coffee I purchase has an airtight-package. I’ve already asked a friend about which local coffee roasters in my area that I should try. I’ll be purchasing directly from them. If you need any help checkout findmecoffee.com. I’ll be purchasing a Kitchen Thermometer, which will considerably improve the quality of my coffee. It will help me get the water to the correct temperature. In addition to that, I’ll be getting a Gooseneck Kettle, which will facilitate precise pouring because of its narrow sprout. This will give me more control over how much water I pour during brewing. Hot water is a super solvent. It will extract the oils and flavors out of the coffee beans. I’m going to try to avoid tap water since mine has a chlorine taste and funny odors. It makes my coffee taste and smell, just like the water. It’s unappealing. Using filtered water is the best choice. I’ve already bought a filtering system that connects to my sink. I found out I shouldn’t use distilled water because my coffee needs the minerals. Without minerals, my coffee will taste on the blander side. The industry standard is 18 parts water to one part coffee. I’ll start there. On days that I want to stimulate my taste buds, I’ll experiment with 13 parts water to one part coffee. A medium fine grind is ideal for brewing most types of coffee. My future burr grinder will help me achieve this particle size or any other particle size. The industry standard is 200 degrees Fahrenheit. Brew coffee between 198 and 202 degrees Fahrenheit for the perfect taste. The thermometer will allow me to do this. These are the two major brewing methods. Each one is dependent on the kind of setup I’ll be buying. The main advantage of brewing using a single-serve or drip feed automatic brewing system like Keurig is that it’s a straightforward process. It’s a convenient and time friendly affair. However, there are several issues with automatic brewing systems. First, the good ones are very expensive. Secondly, the Keurig are terrible to the environment. Thirdly, they don’t make great coffee. Automatic Brewers don’t make great coffee because they don’t achieve the right temperatures. Keurig brews at 192 degrees Fahrenheit while the industry standard is 200 degrees Fahrenheit. Seeing that I want to brew delicious coffee, I’ll need a pour-over or Aeropress setup. With these, I can control every aspect of the process. A good cup fresh cup of Joe (I think that is how the fancy people say it) is free of sediments aka little grains of coffee left at the bottom of the cup while a bad cup has sediments. A good cup has coffee oils and essences, and a mediocre cup lacks those elements. A bad cup is weak and watery. It might also taste too strong and over-reacted. A perfect cup of Joe has just the right caffeine content, looks elegant, is very smooth and has the perfect temperature for the weather. Those are my 7 steps to getting started in brewing good coffee in my home. It’s just the beginning of my journey in the world of coffee. It will be a long journey, but in the end, it will be well worth it. Brewing my coffee by hand using a pour over setup facilitates a more even extraction of oils and flavors than the case with an automatic brewer. That sentence explains why I decided to start with a pour-over brewing method. 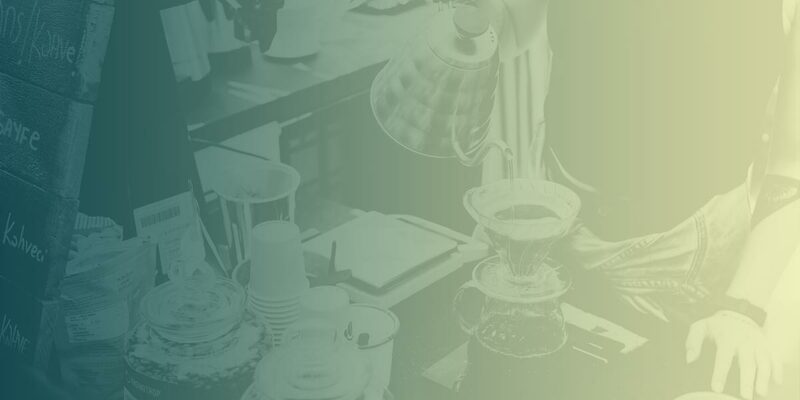 Seeing that the pour over method is one of most the more traditional methods for brewing coffee in North America and Europe, it should be easier to ask others for advice.